David Noel Keightley, campus professor emeritus of history, died in his sleep Feb. 23. He was 84 years old. In his 29 years as a campus faculty member, Keightley studied the origins of Chinese civilization. He also served as chairman of the UC Berkeley Center for Chinese Studies from 1988 to 1990, chair of the campus history department from 1992 to 1994 and interim director of the C.V. Starr East Asian Library from 1999 to 2000. A large part of Keightley’s legacy at UC Berkeley was his leadership of the faculty committee that brought the East Asian Library to campus, according to his son, Steven Keightley. Steven Keightley recalled an anecdote from the late 1990s in which he sneaked into one of his father’s lectures on campus. 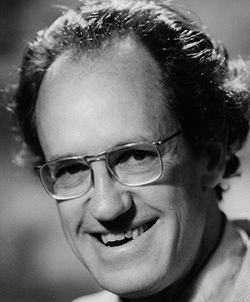 Keightley is remembered by family and colleagues as a man dedicated and committed to his field of study. In addition to serving as a campus professor, Keightley was an author. While on campus in 1978, Keightley wrote “Sources of Shang History: The Oracle-Bone Inscriptions of Bronze Age China,” a historical and archaeological study of the Shang Dynasty. After his retirement in 1998, Keightley wrote three more books: “The Ancestral Landscape: Time, Space, and Community in Late Shang China, Ca. 1200-1045 B.C.” in 2000, “Working for His Majesty” in 2012 and “These Bones Shall Rise Again” in 2014. A fan of strawberry rhubarb pie and Gilbert and Sullivan plays, Keightley also had a passion for cycling. Keightley was an avid cyclist for 25 years and biked 90 to 100 miles per week, Steven Keightley said. Peter Sahlins, campus professor of history, referred to Keightley in an email as a “maniac bicyclist,” whose bike rides inspired and enabled a great deal of intellectuals. “Probably more good ideas were generated on those bicycle rides through the hills of Berkeley, with David always in the lead, than anywhere within the institution of the University itself. He is deeply missed,” Sahlins said in an email. Keightley’s second son, Richard Keightley, recalled his father’s love for the sport of soccer, a love that developed growing up in London. Keightley is survived by his wife Vannie, his two sons, Steven and Richard, and his two grandchildren, Sophie and Preston. A memorial service for Keightley will be held March 25 at 11 a.m. at Sunset View Mortuary in El Cerrito, California. Contact Amber Tang at [email protected] and follow her on Twitter at @ambertang_dc.